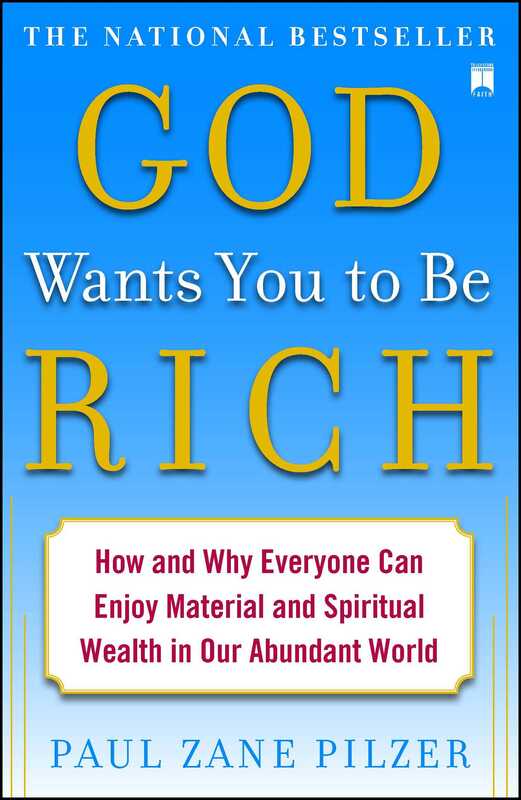 In God Wants You to Be Rich, bestselling author Paul Zane Pilzer provides an original, provocative view of how to accumulate wealth and why it is beneficial to all of humankind. A theology of economics, this book explores why God wants each of us to be rich in every way -- physically, emotionally, and financially -- and shows the way to prosperity, well-being, and peace of mind. Pilzer explains that the foundation of our economic system is based on our Judeo-Christian heritage and includes chapters on a variety of financial issues from outsourcing and unemployment to the rise of technology and real estate. "Professor Pilzer!" the woman exclaimed, following me into the elevator after my speech. "I must tell you how much your work has changed my life!" "In what way?" I asked. "All my life I wanted to be rich," she replied. "But I always believed that I could only succeed in business at the expense of someone else, and as a good Christian I could never do that. Reading your book and hearing you speak has shown me how wrong I was!" The woman explained that two years ago, at age fifty-five, she had gone into her own business, and that she was now making three times more money than she had earned after working thirty-two years for someone else. "How does your new financial success relate to your religious beliefs?" I inquired. "That's the real tragedy of my life," she replied. "For fifty-five years, I believed that God didn't want me to have money, that the economy was always heading downhill, and that the only way to climb the ladder to success was by stepping on someone else. But I was wrong! Now I realize that these views were just excuses for my lack of initiative, and that one of the things God wants me to do most as a good Christian is to be rich. That's why he created a world where the more successful I am, the more wealth there is for everyone else to share." Every major religion has an explanation of how God created the universe. What is important, however, is not how it was done, but why. As an economist and businessperson, I have devoted my life to explaining how people can become rich. I realize now that I have failed to reach certain people because I have incorrectly assumed that they already understood why they should become rich. There is a widespread feeling today that there is something wrong with individual economic success. People who have become rich through great personal sacrifice sometimes feel guilty about their success -- and often pass this guilt on to their children, with disastrous consequences. Even worse, people who fail to achieve success on their first try sometimes refuse to try again. Most people believe they should achieve wealth primarily for their own material comfort or that of their families. This is far too narrow a view. God does want each of us to be rich in every possible way -- health, love, and peace of mind, as well as material possessions. God wants this, however, not just for our own sake, but for the sake of all humankind. The reason, as we shall see throughout this book, is that an increase in wealth for an individual almost always represents an even larger increase in wealth for society at large. This is especially true in our modern economy, where the largest individual financial rewards are increasingly reserved for those people making the greatest positive impact on our society. In ancient times people didn't spend much time wondering about how to improve their lives. People generally believed that their lives were predestined. A person was not supposed to try to change his or her fate, let alone even ponder whether such a fate was predestined in the first place. It was each person's obligation to follow the will of God -- or the gods -- whatever that will might be. Until roughly the fourth century B.C., it was commonly believed in parts of the world that the mysterious lights in the sky were gods wandering about the heavens. In fact, the word "planet" comes from the Greek word for "wanderer." This illustrates what most people thought about their daily lives. The gods (planets) wandered about in the heavens, and their wanderings caused the crops to grow, the rain to fall, and the tragedies and joys of human existence. The Greek philosopher Aristotle was one of the first people to refute this belief. Aristotle believed that there was an order to things that people could understand and use to control their lives. In 340 B.C., Aristotle devised one of the first modern theories of the universe, asserting that the planets and every other object in the heavens were in fact spheres that revolved in fixed paths around a stationary earth. The Aristotelian view of the world, and the order to the seasons and our lives that it created, was refined by Ptolemy about 450 years later into a mathematical calendar. And this view, though wrong in its fundamental assumption that the earth, rather than the sun, was at the center of our solar system, became the bedrock of civilization for the next eighteen hundred years. Looking back, we can see that its endurance was hardly surprising, for it accorded with the evidence of one's senses. After all, from your vantage point on earth, it certainly looks as if everything revolves around you. But the Aristotelian-Ptolemaic calendar was not accurate, because it incorrectly placed the earth at the center of the universe. Every hundred years or so it would snow in Rome in July, and the pope would set the calendar back about six months. This led to a great quest among astronomers to discover a working model of the universe that could accurately track the months and predict the beginning of the seasons. It wasn't until the early sixteenth century that the Polish astronomer Nicolaus Copernicus succeeded in this quest. By manipulating mathematical equations, Copernicus determined that the sun was at the center of the solar system, and that the heavenly bodies -- including the earth -- revolved around it. This model was later refined by the Italian astronomer Galileo, who, using his newly invented telescope, was able to confirm Copernicus's hypothesis. We can easily see how astronomers before Copernicus were misled. For centuries they labored in vain trying to perfect the calendar and predict the seasons in order to increase agricultural and economic output. But the very definition of their science -- the study of how the spheres in the heavens revolved around the stationary earth -- precluded astronomers from discovering the true nature of the universe. In our time, the science of economics has been hindered by the same sort of tunnel vision. Today the very definition of economics -- "the study of how people choose to employ scarce resources" -- precludes economists from discovering an accurate theory of economics and hinders economic success. Most economists have agreed on one basic premise -- a society's wealth is determined by its supply of physical resources (land, oil, gas, minerals, and so forth). Underlying this premise has been another, even more basic (in fact, so basic that it is rarely mentioned) -- the world contains a limited amount of these physical resources. The incorrect supposition that we live in a world of scarce resources has done more than preclude most individuals from achieving economic success. Over the centuries, this zero-sum-game view of the world has been responsible for wars, revolutions, political strategies, and human suffering of unfathomable proportions. Since 1975, when I entered the Wharton Graduate School, I have belonged to a small group of economists who believe that the world does not contain a limited amount of physical resources. Quite the contrary, I believe that the world is a virtual cornucopia of physical resources. I developed my belief into a theory of economics, which was first published as Unlimited Wealth -- The Theory and Practice of Economic Alchemy (Crown Publishers, 1991). Many notable people found truth in my theory. The late Sam Walton, founder of Wal-Mart, praised Unlimited Wealth for having put into writing beliefs to which he attributed his own success. My views were disseminated via national television appearances and in numerous publications. And businesspeople worldwide applauded Unlimited Wealth for establishing a practical, decision-making framework based on a cornucopian theory of economics. Yet, both as a writer and as a teacher, I had failed. Unlimited Wealth was highly praised by those who were already successful or who were on their way to success. But it was largely ignored by those who could benefit from it the most. I felt like a clergyman preaching to the choir. The people who really needed to hear my sermon were not attending my church. Unlimited Wealth explained in scientific terms, through deductive logic, why we live in a world of unlimited physical resources. It explained how, over the short term, advancing technology continually increases the supply of our existing physical resources and how, over the long term, advancing technology constantly changes our very definition of "physical resources" as new ones are discovered. But, in promulgating a scientific explanation for our economic lives, Unlimited Wealth failed to directly confront a theological belief that prevents most people from understanding, and thus achieving, unlimited wealth. Today, this mistaken view of the world continues to take its toll on most Jews, Christians, and Moslems, who collectively make up more than 75 percent of the world's population. The erroneous economic belief in scarcity leads directly to the mistaken theological belief that God does not want us to be rich. After all, in a world of scarce physical resources, a person could achieve personal wealth only by taking wealth from another -- something that a truly benevolent, loving God would never allow. These words, incorrectly taken out of the context in which they were said, have been used for two millennia to criticize the accumulation of economic wealth. However, Jesus did not mean that there was something wrong with being rich. Jesus said these words to explain what God expects of a person in order to gain admission to heaven -- and the special, even higher, obligation to help others that God expects of those who have achieved economic success. Interestingly, the very next chapter in the New Testament explains the obligation of the unemployed, or "not yet rich," to take the first step toward taking care of themselves. A householder approaches several idle laborers and inquires, "Why stand ye here all the day idle?" The laborers explain, "Because no man hath hired us." The householder then explains that if they would go into the fields on their own and "do whatsoever is right," then they, too, will receive their just rewards. The formerly unemployed workers are then handsomely rewarded for taking the initiative and starting to work on their own. God wants us to show compassion and understanding toward the unemployed or the poor not because they are poor, but because poor people, with help from those who are already successful, can become rich. And when the poor become rich, all will benefit, because in our modern economy new unemployment is the first sign of economic growth. Most of the unemployment we are experiencing today is the result of new technology -- a machine replaces a worker, or better methodology enables one person to perform a job that used to require two. As technology advances, individual jobs are eliminated; but the gross national product remains unchanged -- society still receives the products or services from the eliminated jobs, which are now performed by a machine or by fewer workers using a better method. When the displaced worker finds a new job, the output of that job adds to the gross national product, and society experiences an increase in real wealth. Unemployment resulting from this type of displacement always creates new wealth for society, although sadly not always for the same displaced worker. The wages of the displaced worker are transferred to the owners of the machine that replaced him, to his employer, and to the remaining workers who utilize the better method. These immediate beneficiaries of the displacement then use their increased remuneration to purchase new products and services, often products and services that were created just in response to their increased ability to afford them. Today, as explained in Chapter 4, "Economic Alchemy," virtually 95 percent of our economy is involved in producing new and innovative products and services that did not exist fifty years ago. From an economic standpoint, this is how our society has progressed since the beginning of civilization. The only thing new about this process today is the speed with which it is occurring, as changes that used to take place over millennia or centuries now take place in decades or even a few years. This increased speed underlies most of our employment problems today, as individuals must deal with changes over a single lifetime rather than over several generations. In 1930, there were approximately 30 million farmers in the United States, barely producing enough food to feed a population of approximately 100 million people. Technological breakthroughs in agriculture over the next fifty years made farming so efficient that by 1980 approximately 3 million farmers were producing enough food for a population of more than 300 million. This represents a 3000 percent increase in productivity per farmer! The farmers who were displaced during this period were lucky. They had fifty years to grow old, retire, and watch their children develop new careers as carburetor mechanics or vinyl record manufacturers -- careers that were then on the cutting edge of new technologies. Their children, however, who left the family farm to pursue these new careers weren't nearly as fortunate. In 1980, approximately three hundred thousand people in the United States were employed in the manufacture and repair of mechanical carburetors. In just five short years, however, virtually all of these jobs disappeared as automakers replaced $300 mechanical carburetors with much more efficient $25 computerized electronic fuel injectors. In 1985, approximately one hundred thousand people in the United States were employed in the manufacture of vinyl records. At the time, virtually every American had at least one record player and a vinyl record collection. No one would have believed that all these jobs would be lost virtually overnight as consumers abandoned their lifelong record collections in favor of a new technology. But that's exactly what happened when the digital compact disc took hold in 1985 and captured virtually the entire vinyl record industry by 1990. As we will examine more closely in Chapter 5, "What's Happening to Our Jobs," just as only a few of the farmers in the 1930s made the switch to making carburetors or vinyl records, only a few of their displaced children in the 1980s made the switch to making computerized fuel injectors or digital compact discs. Unlike their children, however, the farmers had ten times the number of years to adjust to these dramatic changes. As a society, with retraining we always have jobs for workers displaced by technology. This is because, by definition, such displacement always represents a transfer of their wages to some other group -- a group that then has an increased propensity, and a greater financial ability, to consume more products and services. But, as we will examine more closely in Chapter 8, "Government," we now need an affirmative program to deal with this displacement, because vocational changes that used to take place over several generations now take place several times over a single lifetime. What guarantees that the immediate beneficiaries of technological displacement will always want to purchase new products and services with their increased remuneration? The answer is the very thing that caused the displacement in the first place -- increasing technology. The technology that causes displacement also creates unlimited demand by lowering the price of existing products and services and by creating new products and services for people to consume. Unlimited wealth comes from fulfilling this unlimited demand with a potentially unlimited supply of retrained displaced workers. This process entails one great risk, both for individuals temporarily displaced by technology and for society at large. That risk is our potential failure to understand that unemployment caused by technological displacement is the opportunity for personal and economic growth, rather than the beginning of permanent economic decline. Individuals who fail to realize this are doomed to economic failure, and societies that make this mistake are in danger of total collapse (see, in Chapter 8, "The Greatest Challenge of Our Century"). In 1960, manufacturing was the bedrock of America's economic power, employing approximately 40 percent of all U.S. workers. Suppose I told you, in 1960, that 50 percent of the country's manufacturing jobs -- 20 percent of all U.S. employment -- would be eliminated by 1980 because of advancing technology. Suppose I also told you not to worry about the country's economic power because by 1980 the remaining manufacturing employees would be producing more than five times the 1960 level of output. And suppose I further told you not to worry about overall unemployment because the food service industry alone would absorb all of the displaced manufacturing workers, as the amount of meals U.S. consumers ate out of their homes would rise from 5 percent in 1960 to 50 percent in 1980. First, you would have argued in 1960, only the very wealthy could afford to eat half their meals out of the home -- to which I would have responded that advancing technology would lower production costs so much that by 1980 it would be less expensive to eat out than dine at home. Second, you would have argued in 1960, there weren't enough restaurants in America to seat that many people at mealtimes -- to which I would have responded that over the next twenty years, tens of thousands of suburban shopping centers would be built to house hundreds of thousands of new dining establishments. Third, you would have argued in 1960, people would be bored eating out so much, since, back then, there were only two basic types of cuisine available ("food" and "French") -- to which I would have responded that by 1980 there would be restaurants serving cuisines that I couldn't describe to you in 1960 because some of them would be from countries that weren't even independently named countries yet. Fourth, even if you accepted my incredible predictions about lower costs, increased number of dining establishments, and unlimited varieties of cuisine, you would have argued that people just didn't have the time to eat out so often -- to which I would have responded that by 1980 there would be a whole new category of restaurants defined not by their price, location, or country of origin, but by the speed of their service; establishments that we would call "fast food" restaurants. The incredible displacement of employees in the manufacturing sector from 1960 to 1980, and the even more incredible growth of employment in just the restaurant industry during the same period, is indicative of what is happening today throughout our entire economy at an ever-increasing pace. Moreover, most of the economic growth about to happen in the next two decades will be in sectors of our economy that may not even exist today. For example, one of the fastest growing sectors of the economy today is the U.S. personal computer industry, which after only fifteen years enjoys sales of approximately $150 billion -- $80 billion in software and $70 billion in hardware. Compare this to the U.S. automobile industry -- after more than seventy years, car sales of the Big Three U.S. manufacturers are only approximately the same $150 billion. Similarly, in the late 1970s, consumers started buying VCRs to record television programs while they were away from home. Today, sales of VCRs are approximately $2 billion. But sales and rentals of prerecorded video cassettes -- an industry not even envisioned by the original VCR manufacturers -- are approximately $18 billion! Ironically, some U.S. demagogues complain that Asian manufacturers stole the $2 billion VCR hardware business from the U.S. companies that invented the machine. This complaint falls on deaf ears in Asia, where parents feel compelled to spend for their children multiple times this amount on U.S.-produced VCR movies -- most of them in English and many of them promoting distasteful (to them) cultural values. In order to comprehend how our economy functions today, we need to have a scientific understanding of how it functioned yesterday. But in order to use this understanding to shape our future, we need to have a religious faith in why our economy works -- a faith based on the belief that God wants us to be rich. This faith is important because the greatest economic opportunities of tomorrow, almost by definition, are in sectors of our economy that may not even exist today. Before understanding why and how God wants you to be rich, I want to stress the importance of empathizing with the situations discussed in this book and drawing analogies between these situations and your own life experiences. At the start of each semester at New York University, I ask the class why they are taking my course. A few bold students readily admit that they are there to learn how to become rich. I then pose the following question to the class. "Do any of you have a younger brother or sister who has dated someone who you knew was going to break their heart?" I ask rhetorically. "You call them over and say, 'Sis, he's bad news' -- and of course your sister immediately ends the relationship and thanks you for sharing your wisdom." My students laugh as I explain how we are often powerless to teach others even what we have learned through painful personal experience. Often the only way to truly learn something is to experience it for yourself. In light of this, the best we can do is let our younger sibling know that we will always be there for them and will always love them unconditionally, no matter what choice they make. Unfortunately, I explain to my students, despite the experiences that I and their other business mentors have had in the business world, there is often little we can really teach them -- true learning often requires firsthand experience. But the more you can empathize with other people's past experiences and draw analogies with your current experiences, the faster and less painfully you will be able to learn new things for yourself. This book is composed of two interleaved parts. The first part is the main text, which is divided into the nine chapters shown on the Contents page. The second part consists of thirty-eight articles illustrating the concepts discussed in the main text. You can read these articles in the order they are presented throughout the main text, or you can simply select them by their descriptive titles on the Contents page. The nine chapters of this book and their descriptive articles progress from the abstract to the practical. Chapter 2 ("The Covenant") explains the contract that underlies our entire modern economy -- God's promise to Abraham that one day all his children would understand the concepts of unlimited wealth. Chapter 3 ("Searching for Camelot") examines the development of traditional (e.g., scarcity) economic thinking and answers the question: If everything is so good, how come so many people think everything is so bad? And Chapter 4 ("Economic Alchemy") summarizes a decision-making theory of business based on the economics of abundance rather than the economics of scarcity. Taking a more practical approach, and using the information in the first few chapters as a base, Chapter 5 ("What's Happening to Our Jobs") explains what is happening to our careers today. Chapter 6 ("The Workplace of the Twenty-first Century") takes this information to the next stage, explaining what we will need in the future and what each of us can do now to prepare for it. As a former executive with Citibank and as a technologist on the information superhighway, I have always been fascinated by the concept of money -- the abstract invention we use to record our prosperity and store our wealth. Chapter 7 ("Money") examines historically where money and savings come from, and explains how both are becoming obsolete in the new technological order. Since the Israelites first asked the prophet Samuel to anoint them a king, the optimum form of government has been a continual subject of debate. Chapter 8 ("Government") explains how the U.S. Constitution laid the foundation for U.S. economic success, and proposes innovative solutions for contemporary problems in education, crime, and unemployment. As you read this book, stop at the end of each chapter and descriptive article and ask yourself whether the information just presented makes sense. If so, why does it make sense? What have you experienced in your life that illustrates how it works, and what can you do to apply the information to your current economic situation? And for those readers who become upset thinking that they should have made a different choice in the past, remember that the only way to truly learn something is to experience it for yourself -- and that, like the perfect older sibling, God loves us unconditionally and will always be there for us, regardless of the choices we have made. Now, let's get started understanding why and how God wants you to be rich. Copyright &copy; 1995 by ZCI, Inc.
Paul Zane Pilzer is the author of Other People's Money and Unlimited Wealth. He has served as an economic adviser in two presidential administrations and as a commentator for CNN and National Public Radio. 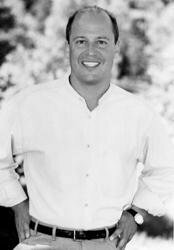 He is also the founder and publisher of Zane Publishing.